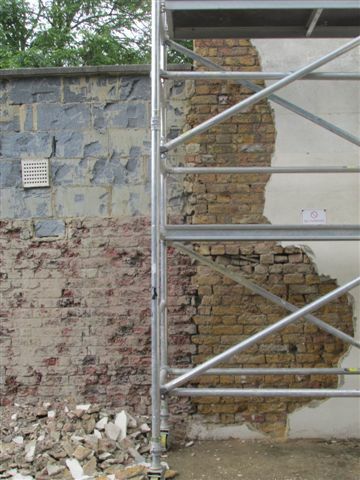 Whilst carrying out a Structural Appraisal Report in Croydon on a traditional Victorian house we noticed building work was ongoing to the property opposite. 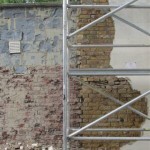 The contractor had removed the rendering to expose the walls. Interestingly this showed that there was a mixture of constructions beneath, including both brickwork and blockwork. There was no evidence of any Differential Movement noted between the extension and the original building.